On April 24th 2013, an eight-storey building housing five garment factories collapsed in Savar, a suburb of the Bangladeshi capital Dhaka. The disaster left 1,133 people dead and more than 2,500 injured. The building, the Rana Plaza, became a macabre symbol of the notorious exploitation of workers in the garment business in Bangladesh, where industrial accidents are frequent. Abir Abdullah, a Dhakar-based photographer with the European Pressphoto Agency, covered the Rana Plaza disaster and its aftermath, as well as other fatal incidents in the Bangladeshi garment industry. His work is currently being showcased at the Festival of Visual Arts in Vevey, Switzerland (see details bottom of page) from which Mediapart presents a selection here. Warning: some people may find images below distressing. May 10th 2013. 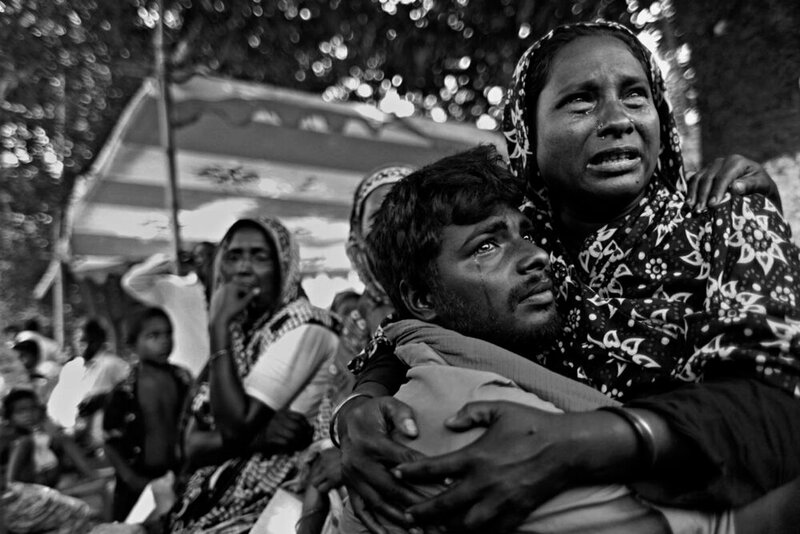 Seventeen days after the collapse of the Rana Plaza, the parents of one of the victims find the body of their son.